Sunshine Coast Airport (SCA) announced today the appointment of Andrew Brodie to the position of Chief Executive Officer (CEO). He will succeed long standing CEO, Peter Pallot, who will retire from the role on 31 December. Andrew Brodie has had 27 years’ experience in the aviation and major-infrastructure sectors. 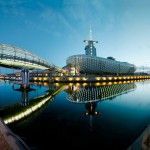 Over the past eight years he has worked in senior executive positions for Brisbane Airport Corporation, most recently as General Manager, Airline and Retail Management. During his time at Brisbane International Airport (BNE), the airport has significantly expanded international and domestic routes and passenger numbers into Brisbane. In the 2017-18 financial year, international passengers grew by 5.2 per cent to more than 5.9 million, while domestically BNE achieved its highest growth in five years, with an additional 263,000 passengers, taking volumes to more than 17.5 million, a 1.5 per cent increase on the previous year. Mr Brodie has also been heavily involved in the major expansion of Brisbane International Airport over the past decade, which has included significant upgrading of the terminal and precinct facilities and the construction of a new runway – scheduled for completion in 2020 – which is expected to double the airport’s capacity. Announcing the appointment of Mr Brodie, Chair of Sunshine Coast Airport, Dennis Chant, said “The Board of Sunshine Coast Airport is confident that Andrew has the skillset, experience and energy required to lead Sunshine Coast Airport to the next level and to capitalise on the significant investment that is currently being made in upgrading its infrastructure. 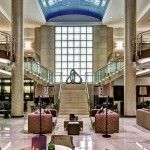 “Andrew brings with him many years of experience in the aviation, infrastructure, property and tourism sectors, as well as extensive experience working with local, state and federal authorities. Prior to his engagement at Brisbane Airport, Mr Brodie was employed at sector-leading companies including GPT Group, AMP Limited and Lend Lease. 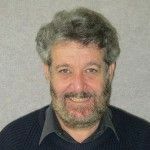 He holds a Bachelor of Business from the University of Queensland and is a Graduate Member of the Australian Institute of Company Directors. Outside of his work interests Andrew is a board member at Brothers Rugby Union Club and St Joseph’s Nudgee College. “Andrew and his family have been regular visitors to the Sunshine Coast for many years and through his extensive industry relationships he will hit the ground running as a strong advocate for increasing activity at the airport to help underpin the strong economic growth projected for the Sunshine Coast region,” said Mr Chant. “I would again like to pay tribute to the contribution Peter Pallot has made to the growth of Sunshine Coast Airport over the last 12 years and wish him and his family all the best in his retirement,” he said. Andrew Brodie will commence the role at Sunshine Coast Airport in March 2019. 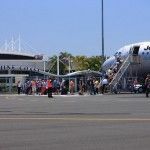 In the meantime, Frank Mondello, Sunshine Coast Airport’s General Manager Operations and Assets, will assume the role of Acting CEO following Peter Pallot’s departure.